Washington state's insurance commissioner plans to counter the Trump administration's proposed expansion of short-term health insurance plans. 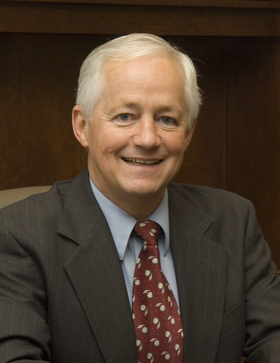 Washington state Insurance Commissioner Mike Kreidler announced Tuesday he is going to establish protections for enrollees in these limited-duration plans. The Obama administration had cut enrollment to no more than 90 days, but the Trump administration wants once again to bump that up to 364 days. "I seriously question the president's misguided belief that the only way to provide less expensive health insurance is to do so at the expense of those of us unlucky enough to get sick or who have a health condition," Kreidler said in the announcement of his effort. "I will use my authority to prevent these skinny plans from destabilizing Washington's health insurance market." Kriedler wants to use the rule to set parameters for these plans, which must be approved by each state's insurance commissioner but don't have to follow ACA coverage mandates. Insurers on the ACA's individual market are concerned that these limited-duration plans, although they offer skimpy coverage, could compete with traditional insurance because the proposed rule does not block people from re-enrolling at the end of 364 days. Kriedler has asked Washingtonians and stakeholders to take part in the rule-making, which started today and will go on for the next several months. Washington isn't the first state to respond to the Trump administration's proposed rule. Tuesday, the Virginia House of Delegates passed a bill that would kick in to cap short-term plans at 364 days or less should the rule be finalized as is. The bill was first passed by the state Senate. The Maryland Legislature is considering legislation that would codify ACA protections into state law.